The global market for professional services automation is expected to expand alongside the adoption of automation technologies across commercial units. Professional Services automation refers to the creation of automated systems for bill generation, expense monitoring, time tracking, and resource allocation in companies or businesses. Professional services automation offers a wide range of benefits to organizations in the form of reduced processing time, improved efficiency, satisfied customers, and reduced costs. International companies are on the lookout for options that can help them function with agility and nimbleness. In order to do this, it is extremely important for these companies to shorten their chain of operation by effectuating smarter systems. Hence, the demand for professional services automation is expected to be driven by the efforts of organizations to bring about standardization on the operational front. Furthermore, the quest to achieve customer satisfaction has also driven demand within the global market for professional service automation. Artificial intelligence (AI) has emerged as the backbone of automation technologies and has revolutionized the way companies look at their operations. This penetration of AI into the framework of organizations has also led to the growth of the global market for professional services automation. The swift adoption of automation technologies across North America has been the key reason behind the growth of the market for professional services automation in the region. Furthermore, the markets in Europe and Asia Pacific are also expected to expand on account of the emergence of new companies with advanced operational benchmarks and better recourse. Professional service automation systems are a type of software products that are designed to aid professional services and companies to streamline numerous operations, enhance their efficiency, and gain a higher profitability and productivity. These systems can be seen as a complete business solutions and have a variety of capacities which include billing, project management, time tracking, expense management, invoice management, and resource allocation. The global market for Professional Services Automation could be segmented in terms of the different solution types and services provided. The global market could also be segmented in terms of the type of deployment, size of organization, and by geography. Such in depth and precise segmentation of the global Professional Services Automation market offered by the report helps in grasping the all-round growth prospects and the future outlook of the different segments of the market and thus, helping the potential buyers to make informed decisions while investing in the market. 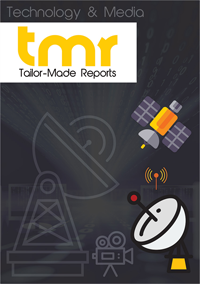 The report on Professional Services Automation market provides the analysis and forecast on regional as well as global level. It offers historical data of the year 2016 along with the anticipated data of 2017, and a forecast data up to year 2022 in terms of revenue as well as volume. The report also provide vital driving and impeding factors for the development of the global Professional Services Automation market and their impact on each region over the duration of the given forecast period. The report also offeres the value chain analysis of the market with a list of manufacturers. The research report on the global market for Professional Services Automation provides vital growth prospects and key trends and opportunities that may come up in the market over the course of the given forecast period. The research report is the result of in-depth and extensive primary as well as secondary research methodologies backed by crucial market insights offered by the industry professionals. Of the two vital methods of deployment of the Professional Services Automation (PSA) systems are on premise-PSA and cloud PSA products and services. These services are hosted on cloud platforms and are gaining increasing popularity, specifically among the medium and small sized companies. The several advantages of cloud hosting with respect to disaster recovery, flexibility, diminished infrastructure development, and increased collaboration cost are some of the key factors expected to drive the overall growth of the global Professional Services Automation market over the coming years. In addition to this, the growing inclusion of tablets, smartphones and other gadgets to the internal networks of the companies are also expected to help in driving market growth. The global Professional Services Automation can be segmented into key regions such as North America, Middle East and Africa, Europe, Asia Pacific, and Latin America.